Well, my e-mail says that you want part four of my series on Smith & Wesson. I'm sorry it's taken so long. In part four on Smith & Wesson, I'll discuss the importance of Smith & Wesson in the American Gun Industry, talk about how this great company is staying afloat, and I'll also try to answer a few e-mail questions - including one special e-mail that you might find very interesting. As we know, Smith & Wesson is one of the world's largest manufacturers of quality handguns, law enforcement products and firearm safety/security products. The company also provides a lot more. 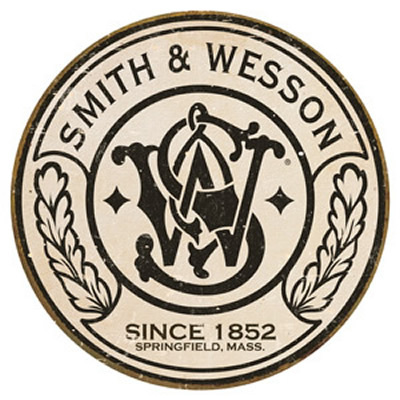 It is a fact that Smith & Wesson provides shooter protection, knives, apparel, footwear, and other accessory lines. 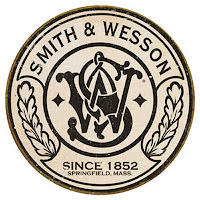 Smith & Wesson is based in Springfield, Massachusetts with manufacturing facilities in Springfield and Houlton, Maine. The Smith & Wesson Academy is America's longest running firearms training facility for law enforcement, military and security professionals. So Let's Start By Looking At The Numbers! Recently, on June 28th, 2012, Smith & Wesson Holding Corporation's shares jumped in after-hours trading after the legendary firearm maker said its fourth-quarter net income soared on strong sales, particularly of its polymer pistols and modern sporting rifles, and it gave forecasts that beat all expectations. Its shares soared more than 15 percent after hours on the news. The company earned $12.5 Million for the quarter that ended April 30. That's up over a Million dollars from the same quarter last year. Analysts polled by FactSet anticipated earnings from continuing operations of 17 cents per share on revenue of $128.6 Million. Smith & Wesson's total quarterly revenue grew 28 percent to $129.8 million from $101.7 Million. During the year, Smith & Wesson, based in Springfield, Mass., paid down $30 million of debt and increased its manufacturing capabilities. It said that that growth helped it lay a solid foundation for the new fiscal year. For fiscal 2012, the company reported net income of $16.1 million, or 25 cents per share, compared with a loss of $82.8 million, or $1.30 per share, last year. From continuing operations, it earned 41 cents per share, compared with 13 cents per share last year. Its revenue rose to $412 million from $342.2 million last year. On June 29, 2012, Nasdaq stocks posted its large percentage increases. Among the 10 biggest percentage gainers on Nasdaq at the close of trading that day was Smith & Wesson which rose 20.5 percent to $8.31. For the 2013 fiscal year, it forecast earnings between 60 cents per share and 65 cents per share on revenue between $485 million and $505 million. Analysts are expecting the company to earn 50 cents on revenue of $466 million. The reason: Americans are buying more guns than ever. Friends, this is a big deal. The reason is that Smith & Wesson looks to be making a come back! This figures might dazzle investors. They might impress brokers and bankers. They should also make you feel good, because these figures point to a jump in sales. Just a month before these numbers came out, two prominent gun makers came out with "Buy" ratings because sales show that more Americans than ever before are opening up to the idea of owning a gun. Fact is that gun sales have been booming this year. In March, Sturm Ruger said that it received orders for more than one million units, forcing it to stop accepting new orders. Ruger said it will start taking orders again but that was supposed to be last month. The reason for the huge demand is that many believe, and yes, fear is rising that President Barack Obama will be re-elected. Millions of Americans are worried that Obama will institute extremely restrictive gun laws. Since becoming President, he has routinely by-passed the legislative branch of our government - Congress - by using his ability to put out Executive Orders to make sweeping changes that wouldn't have otherwise been able to get by the American people. President Obama has signed 130 Executive Orders to date during his Administration. When president Obama couldn't get his so-called Dream Act legislation passed through Congress. The legislation that was basically an Amnesty Program for Illegal Aliens, Obama used his privilege to write an Executive Order put it into place. Now, many in the House and the Senate say President Obama's Executive Order on Immigration "has actually made the problem worse." Americans fear what Obama will do next, and gun control is a topic he said he will address in his second term in office. Because more and more fear Obama because of his ideology and behavior, Americans are buying what they think will be outlawed or be restricted to only law enforcement in the future. Fear of Obama, and a Growing Acceptance! Besides the fear of Obama being re-elected, there is a growing social acceptance of firearms that is also driving up sales. Citing Federal Bureau of Investigation background checks, most say that interest in buying guns for either protection or leisure is growing in regions aren't traditional gun buyers. 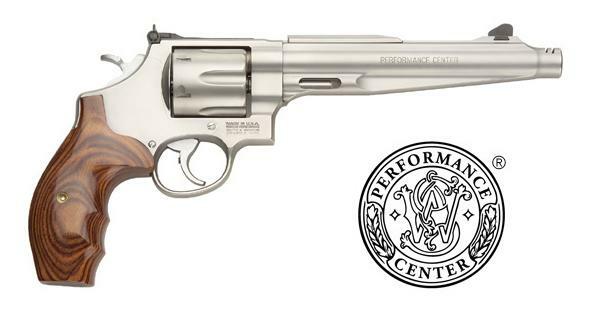 Smith & Wesson Holding Corporation (NASDAQ:SWHC) target has been increased by Benchmark Co. following the adjusted point of sale FBI background checks increased 24.5% in June. The company has provided an FY13 guidance which the firm states is “extremely strong.” The firm believes that commercial firearm sales will be strong throughout the next year causing it to keep its Buy rating. And yes, the number of background checks rose the most in the Northeast, West and Midwest in 2011, according to the FBI data. The South was the slowest growing region in 2011, a change from 2008 when the South led the country in background check growth. There is something else, there seems to be a change in attitude about gun ownership. So for Americans who are interested in staying vigilant of our 2nd Amendment Rights, and of course great gun makers like Smith & Wesson, new gun buyers will probably keep going up even after the election this November. The reason that Smith & Wesson is doing well is due to it's diligence to produce fine firearms. This is an important part of this article, so let me explain what I've done lately. To get a feel of how sales is going for Smith & Wesson, and of course customer satisfaction, I visited a number of gun stores from Modesto to San Francisco Bay Area, from Sacramento to Reno. Once there, I looked at what Smith & Wesson has to offer as a "Buyer" - a consumer. I asked all sorts of questions pertaining to cost effectiveness, quality and workmanship, dependability and ease of use - all in relation to itself in years gone by, as well as to in relation to other makers. Out of all of those who I spoke with, only one store owner was concerned about the quality of the new M&P15 line of tactical rifles. Other than him, all raved about the quality of all of the guns coming out of Smith & Wesson these days. As for the M&P15, to me with my background in the Marine Corps and security, the M&P 15 is a civilian M4. And yes, that's a good thing! As I said in part three, the Smith & Wesson's popular line of M&P15 semi-auto tactical rifles is a ready-to-go design. It is accurate, easy to operate and tear down, very good adjustable rear sights, and has a good price that is not to over the top. To me, I liked the quality and workmanship. So yes, I really do like the M&P15. I also like the M&P40 semi-auto pistol because it is a very nice extremely comfortable in the hand firearm. Smith & Wesson puts out real quality. Quality: That's the bottom line! From what I seen, people are concerned about quality almost as much as they are concerned about price. In these hard times, people don't have a lot of what was once called "disposable income" - a term that has never made any sense to me. If Smith &Wesson sacrifice on Quality Assurance or Quality Control, cut corners, or simply steer more of their funds to other products instead of their firearm product line, then the company will again be in financial trouble. Research and development (R&D) is great. It is what helps a company come out with new and better products, but if any company spends more of its available capital on R&D and less on its Quality Assurance programs - then that company will find that it has taken the very thing that keeps its company alive and squandered it. R&D makes a company money down the road, Quality Assurance/ Quality Control gets a company down the road. If sales drop for Smith & Wesson, it will be because of poor workmanship, poor quality, or an unpopular unacceptable inferior product. It can happen if Quality Assurance and Control is not the company's priorities. Now, before ending this series on Smith & Wesson, I have to answer one particular email that took me to task about something that I wrote in another article. The reader thinks it simply was "not nice" of me to say what I did about part of Smith & Wesson's latest line of revolvers. 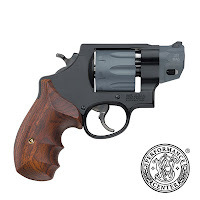 In one of my RANDOM SHOTS articles, I made mention that I was looking into a pistol for Concealed Carry - and yes, I made the comment that I find some of the guns in the Smith & Wesson's latest line of revolvers these days - well, ugly. I state, "I have owned a few Smith's in my time. I've always liked the way they handle, the feel of the pistol, their reliability. I've always liked their balance, and the look, the basic aesthetics of their line of pistols. Their guns were always nice and simple, and they didn't look like toys. They looked like firearms, guns, pistols. Like many others, I wanted to buy another gun lately so I went to a Gun Shop and took a look at what I had already found on the Internet. Some in their new line of revolvers are ugly. Please understand that's just my opinion, but Smith & Wesson is putting out some really ugly guns. As I look at their line of handguns these days, and taking into consideration their extremely high prices, I'm probably going to go with another manufacturer like say Ruger or maybe even Charter Arms." Well, as for the price of a Smith & Wessons these days? I found them to be very comparable to other top makers of similar quality like say Ruger. Obviously, Smith & Wesson or Ruger are not the "economically" priced guns that Charter Arms puts out - and no, I really don't know what their quality is like these days. But I've owned a Charter Arms Bulldog since the early 80's, so if they are anything like they were before then it was very good. I'm hoping to find out soon enough as I'm looking into doing an article on Charter Arms soon. I stand by what I wrote in that I don't like what some Smith & Wesson's look like these days. 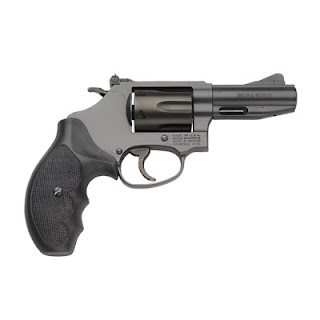 Where Ruger was always sort of bulky, but put together like tank, Smith & Wesson was always streamlined with classic good looks. I know first hand that Smith & Wesson puts out a really reliable, well balanced, hard to beat line of firearms. I'm just saying that some like the ones above simply aren't as aesthetically pleasing. They are strange looking guns. But that hasn't stopped me from loving Smith & Wesssons! In fact, recently on my recommendation, my brother purchased a Smith & Wesson Bodyguard .38 caliber revolver. It is a very nice revolver. Since he has only limited experience with handguns, I figure that the small very nicely built Smith & Wesson Bodyguard with its laser sights in .38 would be a perfect gun for him for personal protection. This gun is an instant classic! No I've never been crazy about lasers, but this has a great integrated lasers setup. It's very concealable, very lightweight, and extremely simple to use. 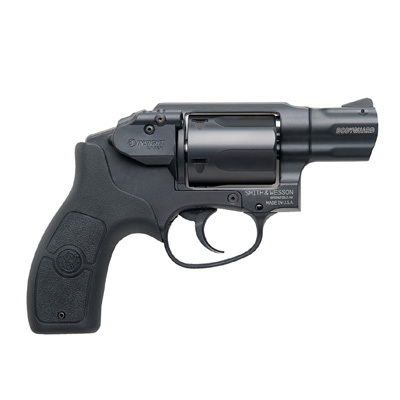 This revolver has a stainless steel barrel, a one-piece aluminum alloy upper frame for strength, a ambidextrous cylinder release, a very comfortable "ergonomic" one-piece rubber grip, a very nice very smooth trigger pull, with an internal hammer and smooth fixed sights that won't snag on clothing. The day my brother picked it up, he brought it over to my range on my property. We went through almost 100 rounds target shooting. All I can say is that it preformed super! It has very good accuracy with out the laser, and once the laser is activated life is just that much more easy. And yes, it looks like there my be one or two in my future because, besides me, my wife even likes it. And that brings me to my last point, more and more women are wanting to learn how to shoot and carry a handgun for personal protection. They don't want complicated. They was ease of use, dependability, reliability. The Smith & Wesson Bodyguard in .38 is all of that! This is the perfect little shooter for my wife or anyone else who is a novice with guns and needs to use one. I can't wait to purchase one for my wife as soon as I can. The problem with that is that Smith & Wesson is putting out their guns as fast as they can to meet the demand. Even Bass Pro Shop, who I visited recently along with others, said that they are back-ordered trying to get that model in. And that's the point, Smith & Wesson is doing fine. If they are an indication as to how other American gun makers are doing, then our gun industry may be on the rebound from years of lawsuits and government intrusion. It is great to see an American gun maker making guns in America - and doing pretty well at that.